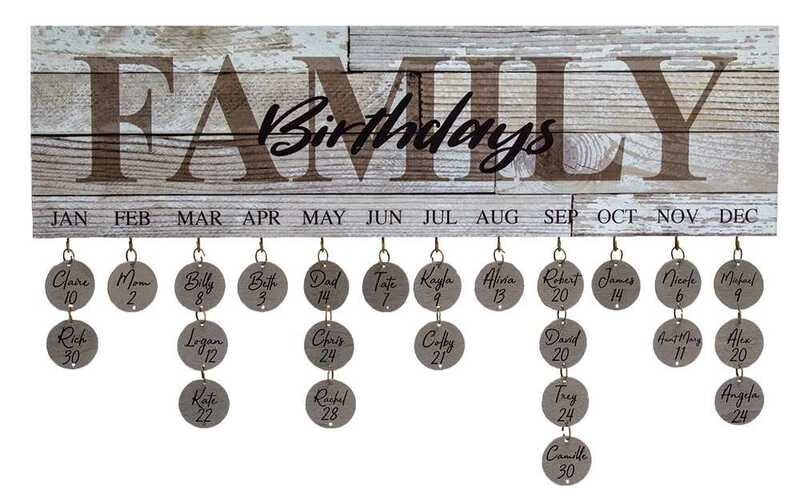 Minimum quantity for "Family Birthdays Calendar" is 4. 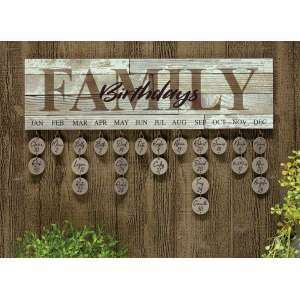 Birthday CalendarThis calendar consists of a wood plank that has a distressed wood texture printed on it and the words '"Family Birthdays" along with the months of year. 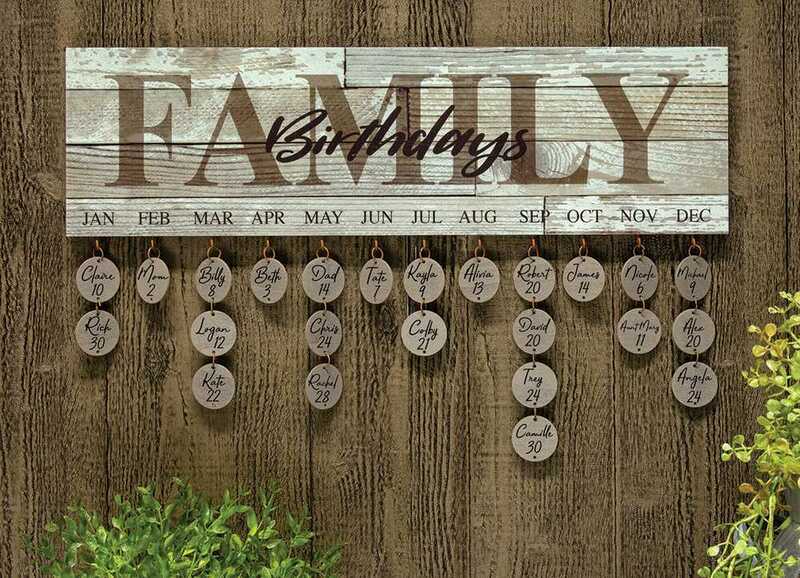 Metal hooks are embedded into the wood at the bottom that hold wood coins that can be hung with names and dates under their perspective month. 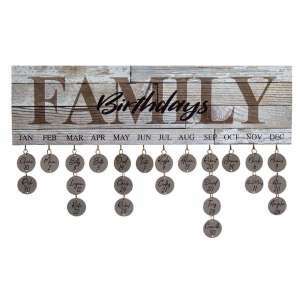 The calendar comes with a set of 24 wood coins, and extras can be purchased separately (item #32513). Calendar measures 18" W x 5" H x .5" D.